This needs to be redone. Not just an unabridged version, but with another narrator. I'm biased as Davis is NOT my favourite narrator, but with the Thrawn novels, his narration is dated, and while he's great at differentiating male characters, his women all sound the same. This version cuts out important parts that give insight to both the events with Thrawn and Jorj, and Jorus and Outbound Flight, and importantly, Doriana and Sheev. 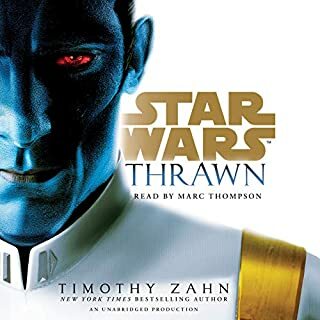 This story is a great place to start in learning more about Thrawn, just not in audiobook form, as it's missing too much. DelRey needs to redo this with Thompson narrating it. If you like Carriger's work you'll like this. Same funny wit, hilarious banter and great characters. You don't need to read the other novels in her series, but previous knowledge makes the enjoyment all the richer. Narrator is good, but there's some timing issues with the inner dialogue effects towards the end, hence the three stars. Otherwise, a highly enjoyable book. Perfect mix of true crime, small town Gothic, horror and plain old blood and gore. Great characters and a deeply entwined plot. I can't WAIT for the sequel! 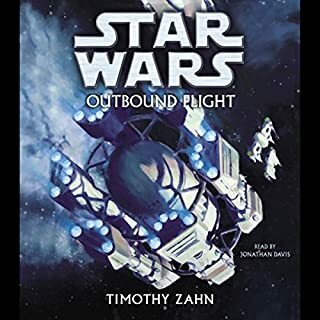 I was beside myself when I heard Thrawn was canon again, and even more so when I heard Zahn was writing him again in a new novel. The wait for this was agonising, but worth it. Thompson did a memorable job in the original Thrawn Trilogy, and I loved the original take on Thrawn's voice, but here, he went with Lars Mikkelsen's rendition and it was jarring at first, but if you've only ever seen Thrawn in Rebels, it's not an issue. Still a great portrayal. 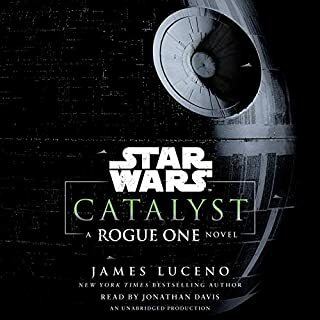 This novel answered many questions, like how the new canon would handle Thrawn's entry into the Empire, and his rise to power, and finally claiming those famous whites and the infamous Chimaera. It also shed a lot of light on Pryce and my respect for her as a character grew, even if my respect for her choices and morals were called into question. She's definitely not one dimensional in this novel. However, I was slightly disappointed that there was no mention of Jorj Car'das and the Bargain Hunter, or Outbound Flight, and the ending is very open ended. It left me wanting so much more, but given the timeline, Season Four will likely fill that gap. Overall, this was fantastic, and I'll be listening to it again! Found this book in my recommendations on goodreads and gave it a shot, as I love stories about pathogens causing the end of the world and their effects on society. I am so glad I did. The characters are brilliant, three dimensional and flawed- perfectly human in their humanity, or increasing lack of it as the story goes on. 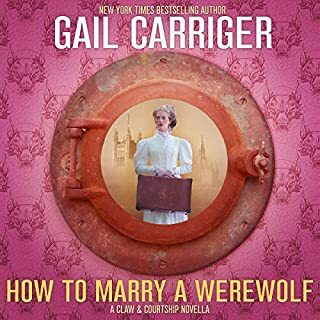 The chemistry between all the characters is wonderful, natural, never forced or unbelievable, and how said chemistry changes is just as well written- like a niece still loving her aunt as family even if she grows to loathe her as a person. The pacing was fantastic, and the tension, humour or sorrow of each scene was phenomenal. Many times, I found myself tense with anxiety, my heart racing; other times, I laughed out loud or felt my heart twist. These characters stick with you, you love them, cheer for them, cheer for them, and grieve with them. All the while, you just want things to go well and for there to be a happy ending for them. 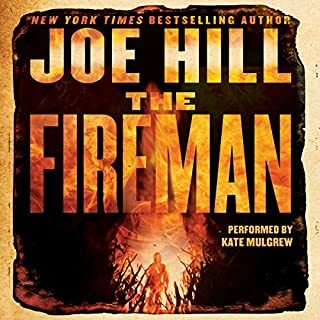 Definitely in my top ten, and will definitely be looking at more of Hill's writing! Wonderful characters, world building, and fantastic plot layering with vibrant narrative. 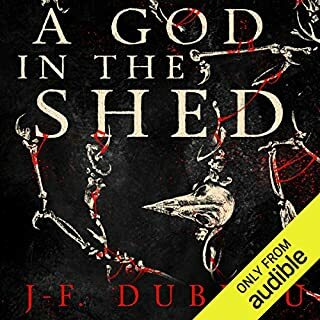 Best way to describe this story is if Michael McDowell and Neil Gaiman got together to write a combination of American Gods, Dante's Inferno, and set it in the South with the experience and knowledge that only McDowell could have possessed. 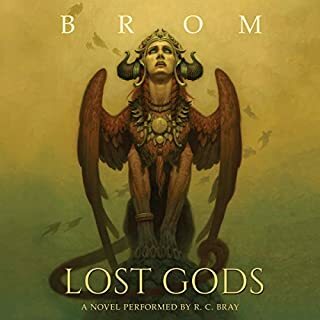 As usual, R C Bray brings it all together with incredible narration and voice acting that reminds me of why he's one of my favourites. Great story, as per the norm for Luceno. Krennic was delightfully written, and the tension between him and Tarkin was wonderful. Also loved the continuity with his novel Tarkin. Was disappointed with Davis being chosen as narrator, as he hardly does women justice and they all sound the same- like 80+ year old Scottish women with smoking habits who have lost most of their accent. Would have much preferred Marc Thompson for this.